Download Free jQuery Accordion Menu, Accordion Slider, and other Accordion-style plugins at our jQuery Accordion Section. Page 4 . Yet another jQuery responsive tabs plugin which turns the tabbed content into accordion-like toggleable panels on mobile devices. 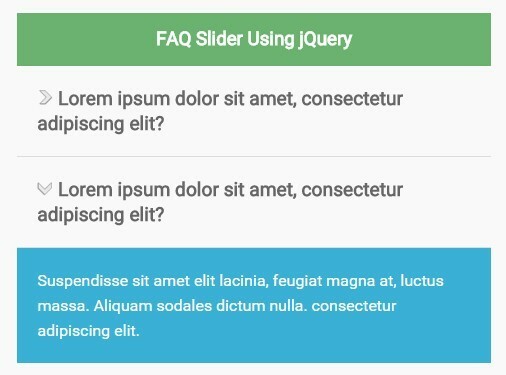 FAQ Slider is a minimal jQuery script which helps you create a FAQ interface with a smooth sliding animation that acts like a vertical accordion. easyResponsiveTabs is a jQuery plugin used to create fully responsive tabs system that works perfectly on most popular platforms: desktop, mobile and tablet. 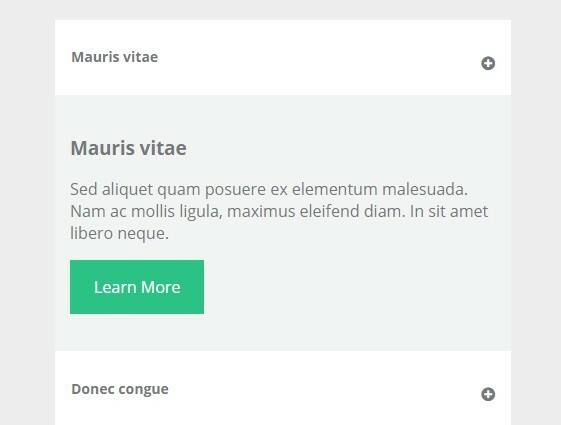 A dead simple accordion component with smooth panel open / close animations, built using plain HTML, CSS and a little jQuery magic. A nice, modern jQuery accordion plugin which gives you the ability to create a touch-enabled multilevel accordion menu with CSS3 powered expand / collapse animations. rjAccordion is a jQuery accordion plugin which allows you to present collapsed content panels with smooth expand / collapse animations. A minimalist jQuery accordion plugin for creating a responsive accordion style slider from a list of images that auto expand on mouse hover. 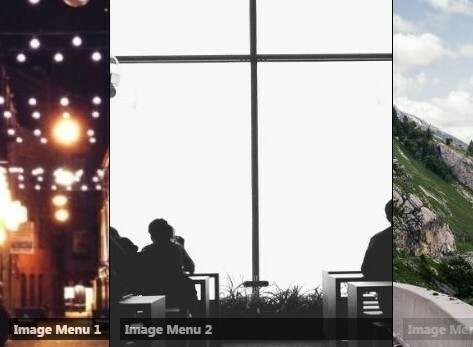 Diagonal Slider is a small jQuery plugin to create a full window diagonal image slider that auto expands/collapses on mouse hover like an accordion control. A lightweight jQuery accordion plugin that uses Bootstrap styles to create a responsive, nice-looking accordion control with custom slideUp & slideDown animations. 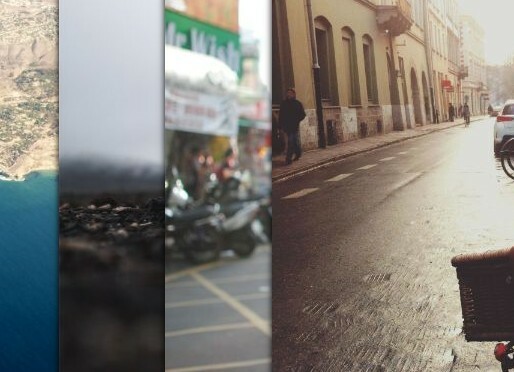 Grid Accordian is a jQuery plugin to create an image grid that uses animate() method to smoothly expand/collapse images on mouse hover, much like an accordion. slideOut.js is a simple, small jQuery plugin used to create a smooth horizontal accordion that uses TweenMax.js for awesome expand/collapse animations. A simple to use jQuery plugin intended to create accessible, highly customizable & styleable accordions with support for keyboard interaction and WAI-ARIA. A jQuery & jQuery UI based accordion image menu that allows to smoothly expand & collapse images on mouse hover. A HTML/CSS/jQuery accordion widget that uses CSS3 transitions to smoothly expand one content panel at a time. 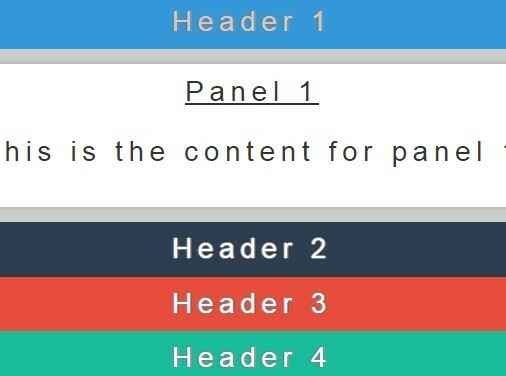 A simple, responsive tabbed interface plugin that acts as an accordion in mobile views and becomes a tabbed interface as the available viewport width increases. zAccordion is a simple and use-to-use Accordion Plugin built with jQuery that allows you to implement horizontal accordion effects into your websites. Yet another lightweight jQuery accordion plugin which expands selected sections with smooth animations powered by CSS3 transitions. A minimalist jQuery/HTML5/CSS based accordion which allows you to show/hide panels of content with CSS3 powered animations.